Sermon for Pentecost 13: "Fire and Baptism, Peace and Division"
There are a lot of things in life that divide us. Even simple, every-day things like Star Wars or Star Trek. American or National League. Pepperoni or Hawaiian pizza. Country or Rock. 8 or 11 service. Or here in Southern California: USC or UCLA. But Jesus’ words here sound altogether more serious than that. All our questions about the second half of this reading – peace and division – can be answered by looking closer at the first half – fire and baptism. We must remember that what Jesus says in today’s Gospel he says on the way to the cross. If we lose sight of Jesus’ cross, we’ll miss the point of today’s readings. And the closer Jesus gets to Jerusalem, the more tension grows, conflict and rejection increases, and the Pharisees are increasingly anxious to kill him. Jesus is anxious too...“I came to cast fire on the earth, and would that it were already kindled. I have a baptism to be baptized with, and how great is my distress until it is accomplished! “The hell coming to us for our sin He goes to, bearing your sin. He is forsaken by God in your place, and the fire of hell does not destroy him. Instead of that fire for us he kindles another. Hidden under the hard wood of the cross, the fire is kindled. From the ashes of Calvary, Jesus’ risen body has the light of Easter, and the fire is given out at Pentecost to burn in his witnesses” (Nagel). Fire and Baptism and the cross. Jesus’ ministry ends the same way it began - baptism. In the Jordan, Jesus was baptized and anointed for death. It was a baptism for sinners. And yet Jesus, who knew no sin, became sin for you. Jesus stood in solidarity with us – one with our humanity, and one with our sin. In the Jordan river, Jesus received a baptism by water. On the cross, Jesus received a baptism by blood and fire. Jesus is baptized in our judgment, sin, and death. Baptism bookends his life and work, from the Jordan to Jerusalem. At Jesus’ baptism and his death - the cross is the great divide of your sin. Recall the old catechism definition of sin: our sin separates us from God. Sin divides. Sin cuts off. To depart from God is to die forever. Jesus’ death ends the divide between God the Father and us his children. Jesus’ cross divides us from our sin and reconciles you to God. And we know that the Christ’s cross brings another kind of division as well. Jesus taught his disciples about the division that would take place as a result of his death and resurrection. The cross brings division, offense, and scandal. Today, in the 21st century, Christ’s church lives and ministers the Gospel in a time that parallels the 1st century. Rampant paganism. Hostility and antagonism towards the Church. Christ crucified is hated and mocked as foolish or mythical. Increased opposition to God’s gift of family, marriage, and sexuality. Persecution. Martyrdom. Division. We may be tempted to call down fire and judgment on society. But just as in the days of Noah, God’s patience and long suffering remain. He is slow to anger and abounding in steadfast love. God is patient that more might come to repentance and faith in Christ. And that’s how we live in these Last Days. Eternal judgment is God’s job (thankfully) – and the world has already been judged on the cross. That’s where we point people - to the cross. Judgment poured out for you. Atonement made for you. We live not in fear of eternal judgment but by faith in Christ. Christ Crucified is the great divide. There’s no neutrality when it comes to Jesus. There is faith or unbelief – like the Pharisees. Trust or rejection. That’s why we struggle and wrestle daily – why we are in an all-out war with ourselves – between our old unbelieving Adam and our new having-faith-in-Christ-nature. 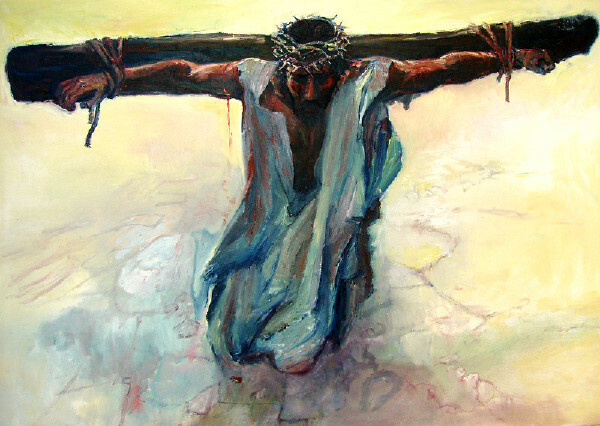 We live the same way Abraham and the saints of old lived – by faith in Christ Crucified. That’s really just another way of saying Christ’s life is your life. Christ lived for you, died for you, rose for you and now in baptism lives in you. Of course, living this way – by the Gospel, receiving the sacraments and studying the Scriptures –will cause division in your life if it hasn’t already. Ask any Muslim who’s converted to Christianity. Or look at the lives of those martyred for the faith across the world. Jesus teaches us about the division – the kind that happens among his people precisely because of his cross, as a direct result of his teaching. Our Christian lives will reflect that to one degree or another. Jesus’ words of division strike a chord with us. Maybe it’s that friend at school or a co-worker who won’t look at you when you walk by or ignores your phone calls or emails…they don’t say why but you know it’s because you’re a Christian; you don’t flaunt it, but you don’t hide it either. Even our families are divided. Division over basic parts of Christian teaching. Division over whether or not our children or grandchildren should be baptized and taught the Christian faith. Division over worldviews. These divisions and struggles are real. They come as a result of the Gospel. All the more reason to know that good theology is the most practical thing you can have (Rosenbladt). And know also that you’re not alone. Amidst the Anxiety, worry, despair, fear, and frustration. Do not be afraid. You’re a member of Christ’s body, the church. Christ has joined himself to you in Baptism. Christ suffers with you. And therefore, we share these struggles with one another. Let your brothers and sisters in Christ bear your burdens with you. God has also given you a pastor and a vicar who will visit with you, pray with you and for you, read the Scriptures and study Lutheran confessions together with you, administer the sacraments to you. Whatever the division is in your life, you’re not alone. Christ knows each and every one of your struggles. He endured and lived them all for you. Consider him who endured such hostility from sinners, so that you may not grow weary. Peace I leave with you; my peace I give to you. Not as the world gives do I give to you. Let not your hearts be troubled, neither let them be afraid. Christ is with you and for you. You’re not alone. He prays for us. And we pray for others. Pray for open ears and opportunities to open the Scriptures and proclaim the Gospel to those with whom we’re in conflict. Look for ways to speak the truth in love about why Redeemer strives to be faithful to Christ’s Word and Sacraments; or about why Baptism is the best gift we can give our children, about why we can believe that Jesus was dead and raised based on trustworthy historical evidence, or about why we support and encourage family, marriage, and life according to God’s gift and design. Yet we do this with gentleness and humility counting others more significant than ourselves. We know things that make for peace – Jesus’ Supper, baptism, absolution. Jesus’ Words. And so, we have an opportunity in our vocations – wherever God has placed us – to speak a word, not of division, but of peace. The same peace you receive here. For we who suffer these divisions – and we all do in some way – whether at home, school, work or church – Jesus brings words of peace to you. Jesus is united with you in peace – the same peace he gives you with his body and blood. His peace unites you with his death and resurrection in Baptism. His Peace kindles the work of the Holy Spirit in each of you. Christ is with each of you in your divisions. For he has made all of your divisions his own in his death. You are reconciled. You are at peace in Jesus’ crucified. And you will never be divided from him. Sermon for Pentecost 12: "The Giver"
Martin Luther once described sinful humanity like a drunk man walking down a hallway, bouncing from one wall to the next. That’s pretty descriptive of our sinful flesh. We’re always staggering back and forth from one error to the other. It’s no different when Jesus starts talking about money, earthly possessions, or mammon as Jesus calls it – you know, our stuff (that’s the scientific word for it). As it turns out, Jesus talks about money and possessions quite a bit. We might want him to stick to talking about spiritual things: holiness, righteousness, fruits of the spirit and all that. But not Jesus. He creates us - body and soul, redeems us – body and soul, and calls us to live each day in him in body and soul. So, we shouldn’t be surprised that he has something to say about earthly possessions and money. Last week we heard Jesus’ parable of the rich fool – notice it’s called the parable of the rich fool, not the rich man; there’s a difference. Today, Jesus continues his teaching on possessions, money, and everything he gives us as daily bread. But whenever Jesus starts talking about money and possessions we tend to turn into the drunk man in Luther’s analogy, stumbling from one side of the hallway to the other. We disregard God’s earthly gifts or we idolize them. We treat money and possessions as unimportant or of the highest importance in life. We disbelieve God will provide for us what we need or we believe that what is provided is our god. We close our ears and think Jesus isn’t talking about our money or our possessions but rather someone else, or we make the text all about us: how much we give or don’t give the church. What kinds of possessions and income we have or don’t have; whether we have big or small worries, anxiety or no anxiety. And so on. How easily we ignore the Giver and look only at the gifts. How quickly we thank God for his good gifts of money and possessions, and the next moment turn them into idols. Thank you, Lord for your daily bread. Now, give me more. Yes, Lord, you’re the giver…and now it’s mine, mine, mine. There are plenty of traps, ditches, and pitfalls our sinful flesh falls into when reading this text. Another is to think it’s all Law. To be sure, there’s Law in Jesus’ teaching about money. Our sinful flesh is just as content to make an idol out the stuff we want that we don’t have (that’s coveting), as it is to make an idol out of the stuff we already have (that’s greed); and of course, our old Adam is a craftsman at mixing our worries and anxieties into a beautiful distraction that takes our eyes off of the Giver of all gifts, and turns our hearts inward. Jesus warns us all – whether we have great possessions and money or little; whether we’re white collar, blue collar, or clerical collar – that the love of earthly things will lead us away from the greatest treasure of Jesus crucified for you. So Jesus calls us to repent of our greed and coveting. Repent of our worrying and doubt. Which of you by being anxious can add a single hour to his span of life? O you of little faith. Yes, Jesus teaching is sobering…but it’s also refreshing. You see, Jesus isn’t giving you a command to follow and then become his disciple. Rather, he’s telling us that we have no need to be anxious or doubt or worry, or even to be greedy because we belong to him. His words are full of promise. Consider the ravens: they neither sow nor reap, they have neither storehouse nor barn, and yet God feeds them. Of how much more value are you than the birds! In this life we’ll doubt, covet, and sin. All the more reason to hear Jesus’ promises: Do not fear. Your Father knows you need these things. And he gives them as freely as he gave his Son to die for you. All so that those sins are covered too. Jesus’ promises outweigh, overcome, and outlast our doubt, our sin, and our worry. This is not Jesus teaching you what you must do or give to become a better Christian disciple, but what he’s done for you and gives you. That’s who God is the gracious giver of all things to you. That’s what Jesus means when he calls us to be rich toward God. To be rich toward God means to receive Christ and his gifts. To receive his promises in Word and Absolution. To receive the best clothing of all in holy Baptism. To receive your daily bread in Jesus’ body and blood. And if you have these things – no matter how many or how little possessions you have – you have all you need. For if God did not spare his own Son but gave him up for us all, how will he not also with him graciously give us all things? He has. He does. He will. All for you. Consider the lilies, how they grow: they neither toil nor spin, yet I tell you, even Solomon in all his glory was not arrayed like one of these. But if God so clothes the grass, which is alive in the field today, and tomorrow is thrown into the oven, how much more will he clothe you. Fear not. You are of more value than birds and flowers. God values you enough to send his son, not to become a bird or a lily, but man. How much more has he clothed you in his suffering and death. He knows your needs and well provides them. It is the Father’s good pleasure to give you his kingdom that comes from the cross to you in word, water, body and blood. What then do we do with our possessions and income? Don’t hold on to them like Gollum and the precious ring…but rather with the dead hand of faith that is open as the Lord gives and takes away. When it comes to our earthly possessions, consider the words of Thorin Oakenshield to Bilbo Baggins: If more of us valued food and good cheer and song above hoarded gold, it would be a merrier world. So, whether we have great possessions and money or little – give thanks to God; look upon these gifts as servants, not masters; Jesus calls us to live generously with what He’s given us (and it’s all gift from start to finish) Be good stewards of our wealth and possessions, giving them for the service of the church, for the spread of the Gospel here at Redeemer and for the work of proclaiming the Good News in our community. Live as Abraham, knowing that we are pilgrims and nomads in this life. We live as if we have nothing, yet possessing everything in Jesus. Seek his kingdom and everything else will be added to you. Your heavenly Father knows your needs. And he provides for you by grace. When it comes to our earthly possessions, money, and stuff – don’t look to your own heart – full of anxiety, worry, doubt, fear, sin, and darkness – but look rather to the heart of Jesus. Pierced for you on the cross. Where his heart is, there your treasure is also. Answer: I believe that God has made me and all creatures. 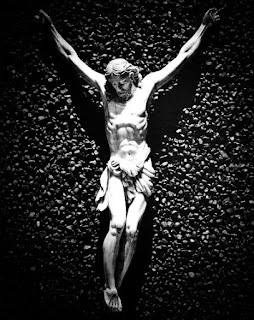 He has given me my body and soul, eyes, ears, and all my limbs, my reason, and all my senses, and still preserves them. In addition, He has given me clothing and shoes, meat and drink, house and home, wife and children, fields, cattle, and all my goods. He provides me richly and daily with all that I need to support this body and life. He protects me from all danger and guards me and preserves me from all evil. He does all this out of pure, fatherly, divine goodness and mercy, without any merit or worthiness in me. For all this I ought to thank Him, praise Him, serve Him, and obey Him. This is most certainly true. Answer: God gives daily bread, even without our prayer, to all wicked people; but we pray in this petition that He would lead us to realize this and to receive our daily bread with thanksgiving. What is meant by daily bread? Answer: Everything that belongs to the support and needs of the body, such as food, drink, clothing, shoes, house, home, field, cattle, money, goods, a pious spouse, pious children, pious servants, pious and faithful rulers, good government, good weather, peace, health, discipline, honor, good friends, faithful neighbors, and the like.